Little Tikes (part of MGA Entertainment) celebrates a milestone this year with its 50th anniversary and The Bigger Boat is proud to have helped them along the way. The maker of the iconic Cozy Coupe® and Turtle Sandbox is celebrating 50 years of playing big. The PlayBig campaign is putting the spotlight on the benefits of children and parents playing together. Celebrations also included a party for employees at Little Tikes’ head office in early March. The Bigger Boat helped arrange for a massive 67,000 balls to be delivered to Milton Keynes for a top-secret party. This included another one of the iconic toys being manufactured in ‘giant size’ by Essex-based experiential design and production company, Scene2. The slide was cut into shape from polystyrene using a five-axis CNC machine. It was then coated in fibreglass with a gel coat finish to give it strength and sprayed with a Pantone-matched AC paint and left to dry. Little Tikes also wanted to create big impact online to share its exciting story with customers. 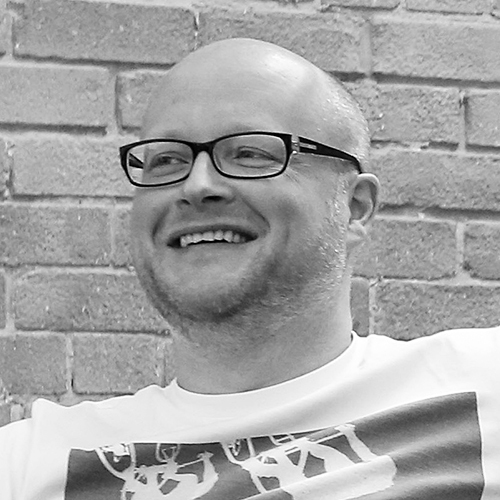 The Bigger Boat created a dedicated PlayBig page. 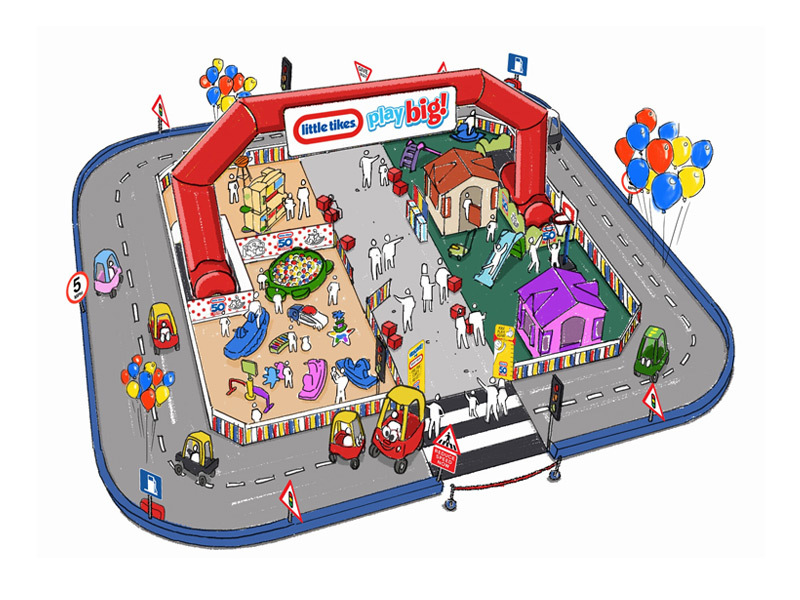 It includes the brand’s story, iconic products, activities, a guide to ‘playing big’ and an interactive timeline that marks the celebration of 50 years and shows how far Little Tikes has come. 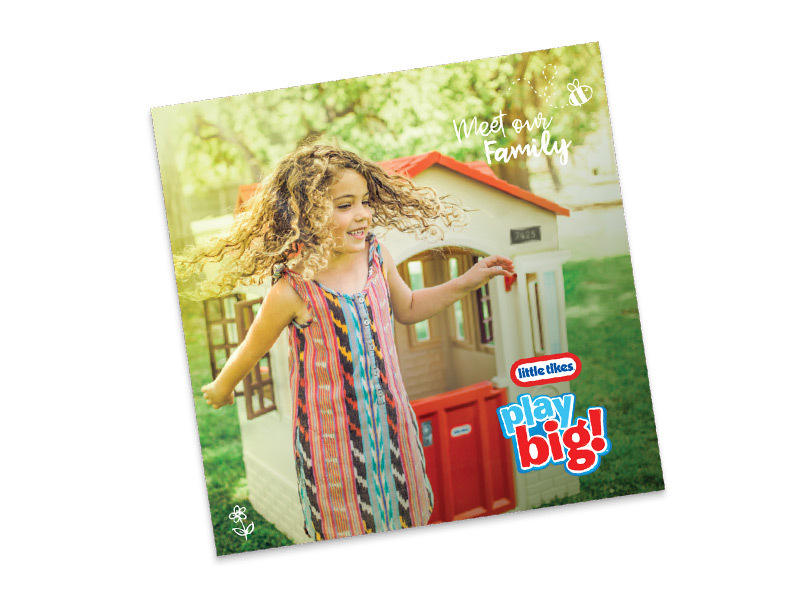 Other activities for 2019 include taking Little Tikes on tour throughout April with the Big Play Date. Here you can visit shopping centres across the country, race on the Cozy Coupe® track and play together on giant toys. Check out the website for more details of your nearest event. Plus, watch this space and follow Little Tikes on social for competitions, regular features and a whole lot more. 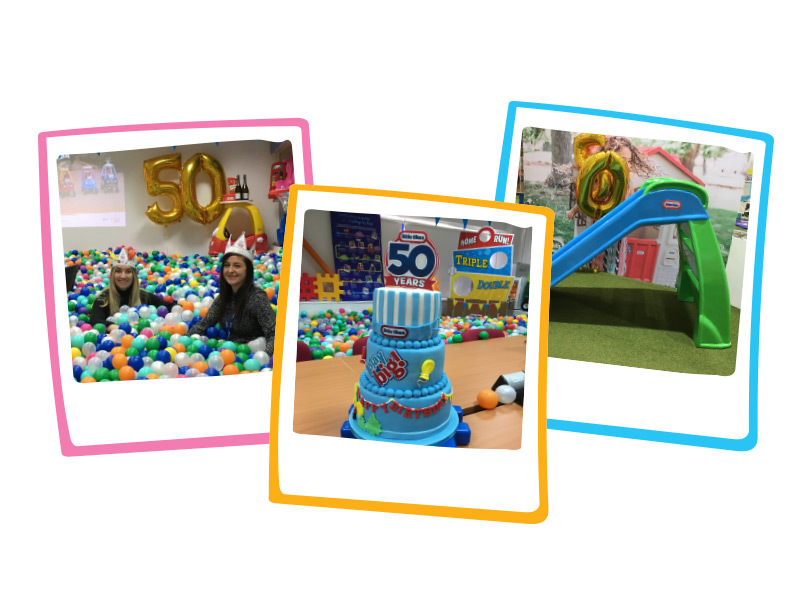 Happy 50th birthday Little Tikes from all at The Bigger Boat!